For generations, children have heard the story of the jolly fat man named Santa Claus, who on every Christmas Eve loads up his sleigh with toys, and with the help of his magical flying reindeer delivers them to all the deserving boys and girls all over the world. But very little has ever been told of Santa's Elves, who lovingly and unselfishly busy themselves the remaining 364 days of the year building those wonderful gifts. What are their names? Where did they come from? How did they end up at the North Pole? Why do they build the toys in the first place? 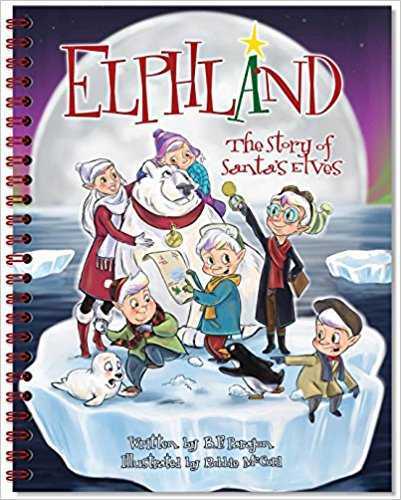 Elphland: The Story of Santa's Elves answers those and many more questions . . . and in so doing, explains the very origins of Santa Claus' Christmas Eve gift-giving odyssey. Elphland is destined to become the next classic Christmas story.